Stagnant reimbursements and rising costs make finding ways to improve efficiency a critical initiative for healthcare providers. Documentation costs for physician services can represent a very significant expense. Better billing processes and more efficient management of electronic health records (EHRs) could help turn the tide. Upcoming changes to billing and coding, along with the implementation of the Affordable Care Act will make hospitals and physician practices turn to efficiency improvements as a way to cut costs, without cutting the quality of services. Even though the switch to the new ICD-10 billing and coding system has now been put off until at least Oct. 1, 2015 it is not too early to assure compliance with the new codes. The new system requires much more detail in documentation, which may lead to reducing the instances of denied claims. Under the new system providers can, and must, provide more detail about each procedure. Under the current ICD-9 system, some claims are returned by insurers as duplicates, when in fact they are for different services on the same patient during the same encounter. The billing and coding process starts with proper documentation of every procedure. As a doctor, you must either record procedural information directly into the patient's electronic record or dictate the information for later transcription. Both methods have pluses and minuses. Direct input is immediate, but requires you to take your attention away from the patient to use drop down menus and record information. The only way to avoid these periods of inattention are through the addition of an assistant, or scribe, which increases payroll costs. On the other hand, if you input the information after the patient encounter, it cuts into the number of patients you can see each day or is put off until office hours are over. 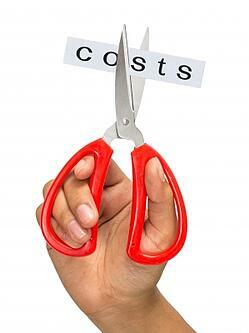 An assistant or scribe, costs less than the loss of patients, but significantly more than transcription services. The problem with using a standard transcription service is that, while the report can be scanned into the patient's EHR, it does not automatically populate the various fields required for proper billing. It therefore requires someone else to manually complete the claim form. This, of course, constitutes a duplication of effort and additional cost. What is needed is a way to combine the best of both approaches, a way to quickly dictate the information and have it uploaded to the electronic health record (EHR) in a way that can be searched and retrieved easily. Such a system is available using a voice recognition program. The EMDAT system gives you the best of both worlds - the convenience of transcripted dictation and automated data entry for billing and subsequent retrieval. Healthcare Information Services, utilizes the EMDAT system for ease of documentation and retrieval while reducing the associated costs. Our service also includes A/R management, collecting on past due accounts and reducing the number of write-offs necessary each year. Delayed billing to individuals results in missed payments and lost revenue. By moving these necessary administrative tasks out of the practice, you gain more time to devote to your primary purpose - treating patients.